At the close of 2018, Team Lakay had five world champions. 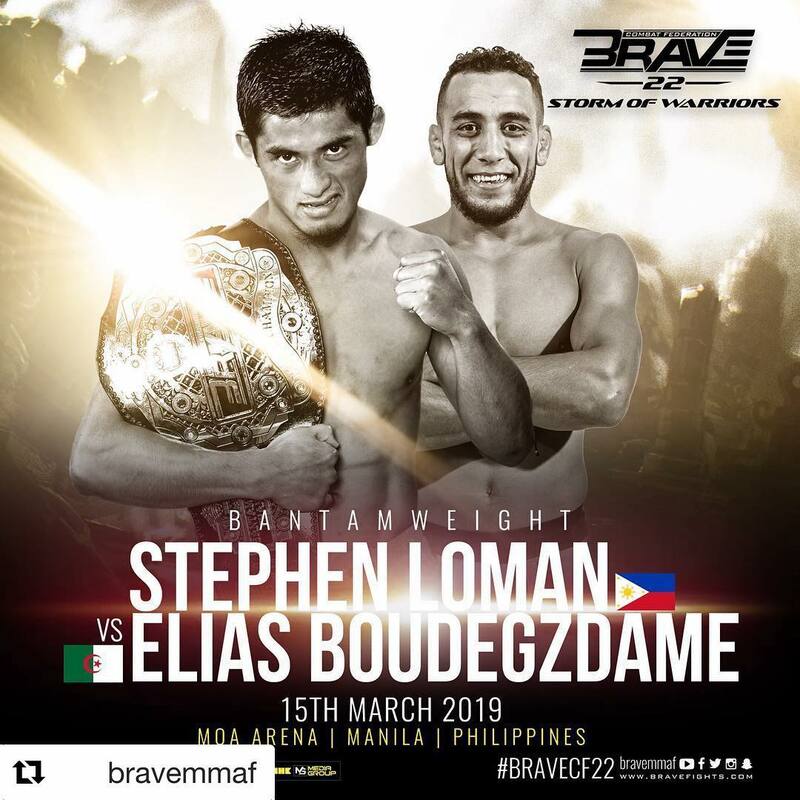 But unlike Folayang, Belingon, Eustaquio, and Pacio, BRAVE bantamweight champion Mark Stephen Loman has never had the bright lights of the SM Mall of Asia Arena shine on him in his two championship fights. Loman wrested the BRAVE bantamweight title from Frans Mlambo on June 9, 2018 in hostile Belfast, Northern Ireland. He defended his belt against Brazilian Felipe Efrain on November 16, 2018 in Bahrain. It was after his successful defense that BRAVE’s top brass promised Loman the opportunity to showcase his skill set on Philippine soil. And on March 15, they’re making good on their promise. We’ve seen Loman fight before under the PXC banner. 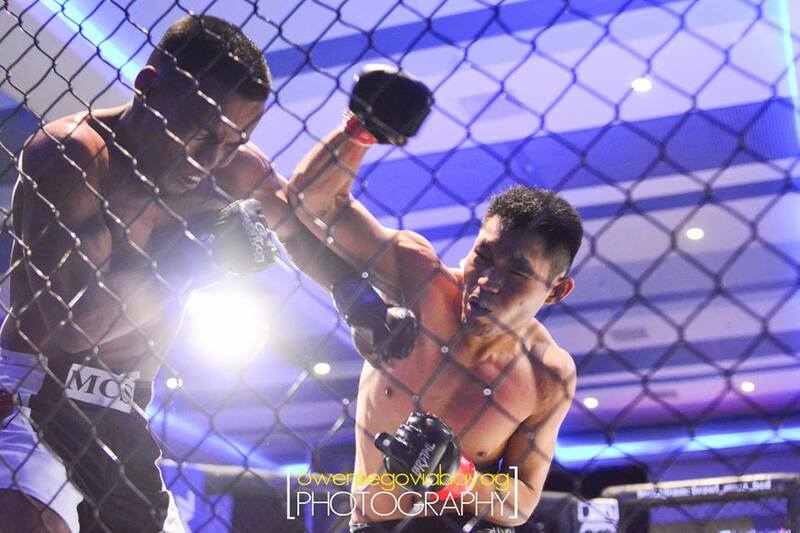 His most impressive victory under the Guam-based promotion was against KO machine Mark Abelardo. He was scheduled to challenge PXC bantamweight champ Trevin Jones; the fight never materialized following weight cut complications on the American’s end. A well-conditioned Saoy absorbed the best of Nimanand’s punches, and even took him down in the heat of battle. 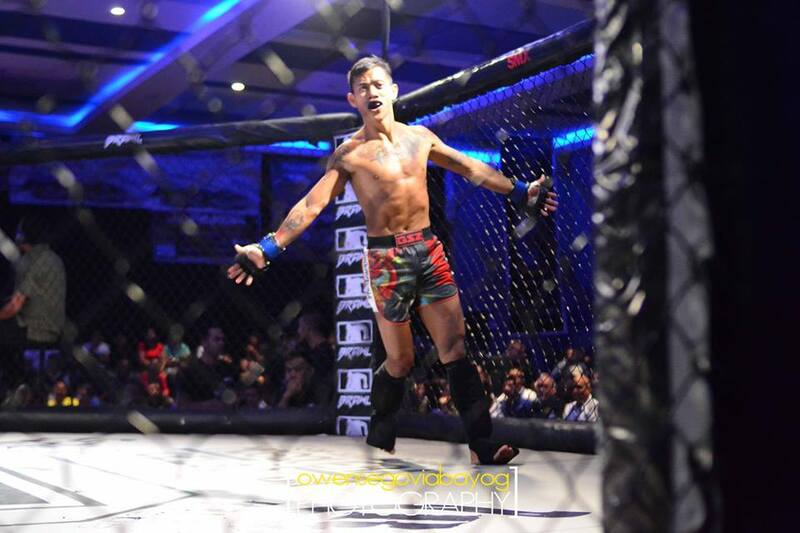 But Nimanand had takedowns of his own, and finished strong on all three rounds to take the unanimous decision. >> Huge props to the young Nimanand for forcing a former Muay Thai national team member to take the fight to the ground on several occasions. With the backing of a solid team, this young prospect may find his place in the industry if he gives the sport enough focus.